A detached bungalow situated on a DOUBLE PLOT and in need of UPDATING which offers GREAT POTENTIAL to make this your own. A SUBSTANTIAL DETACHED HOME which has been TASTEFULLY REFURBISHED to a high standard. 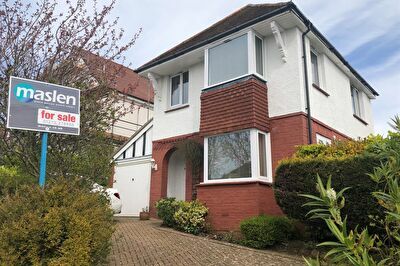 An attractive 4 bedroom DETACHED EXECUTIVE FAMILY HOME set in this IDYLLIC SECLUDED POSITION just off Surrenden Road. A spacious six bedroom student home just off Lewes Road close to Brighton University and local shops. Spacious one bedroom GROUND FLOOR FLAT located in this SOUGHT-AFTER residential street in the ROUNDHILL CONSERVATION AREA. A WELL PRESENTED & spacious 2 bedroom FIRST FLOOR FLAT situated in this popular PURPOSE BUILT block a stone’s throw from PRESTON PARK, local shops and other amenities. A truly delightful, modern and superbly presented ONE bedroom GROUND floor purpose built flat off Lewes Road. A FANTASTIC 4-BEDROOM 2 RECEPTION ROOM VICTORIAN HOUSE with beautifully presented and WELL-ARRANGED ACCOMMODATION OVER 4 FLOORS. A SPACIOUS TWO bedroom SEMI-DETACHED chalet bungalow with SCOPE for modernisation and improvement is available with vacant position. A fantastic REFURBISHED detached character home located in NORTH WOODINGDEAN. A smart 3-BEDROOM, 2 RECEPTION ROOM BAY FRONTED HOUSE ON AN ELEVATED POSITION in a sought-after residential area. An attractive GROUND FLOOR 1 DOUBLE BEDROOM FLAT WITH A PRETTY REAR GARDEN, a smart BESPOKE KITCHEN, a bright and spacious lounge with ROOM FOR A DINING TABLE, modern white bathroom, gas heating, and a PRIVATE ENTRANCE. 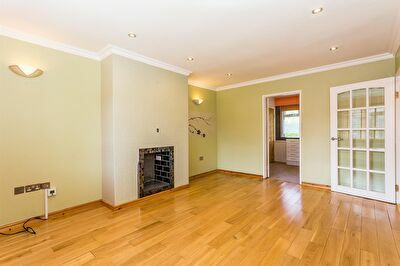 A BRIGHT, SPACIOUS, 1 DOUBLE BEDROOM REFURBISHED GARDEN FLAT. A superb 2 double bedroom SEMI-DETACHED BUNGALOW ON A SOUGHT-AFTER ROAD in a popular residential area. A STUDENT LET FOR SEPTEMBER 2019. 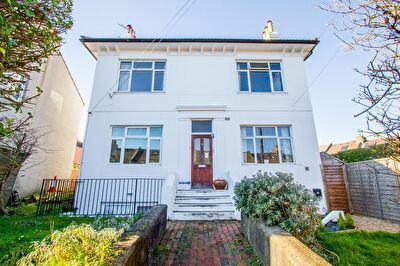 A smart GROUND FLOOR 2 DOUBLE BEDROOM CONVERTED GARDEN FLAT nestled between Roundhill Crescent & Lewes Road, close to independent shops cafes and bars. This 3 bedroom detached bungalow has lovely VIEWS over Woodingdean to THE SEA and a REAR GARDEN in excess of 100ft. Unbelievably spacious and TRULY STUNNING 5/6 bedroom DOUBLE FRONTED semi-detached HOUSE arranged over 3 storeys with a WEALTH OF PERIOD FEATURES throughout. A PURPOSE BUILT 2 BEDROOM top floor flat with a BALCONY - offered for sale with NO ONWARD CHAIN. WELL PRESENTED 3 bedroom 3 STOREY HOUSE located in this SOUGHT-AFTER RESIDENTIAL AREA in the catchment of some HIGH PERFORMING SCHOOLS and close to local shops and amenities. An AMAZING & SPACIOUS detached family home with a LUXURY FEEL .